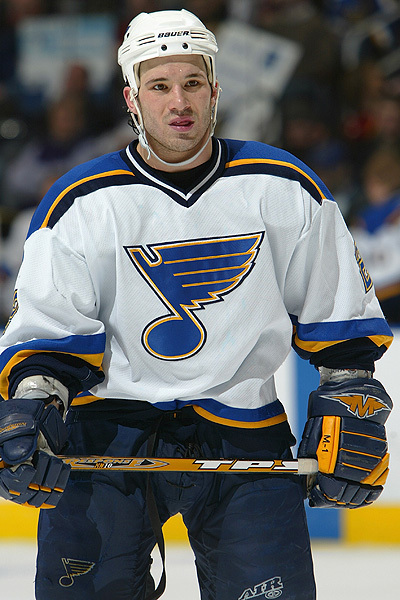 Mike Danton, formerly of the St. Louis Blues, is drawing attention to CIS eligibility rules as he joins the St. Mary's University Huskies starting this Thursday. The Globe and Mail’s Roy MacGregor wrote an article Tuesday morning about former NHLer Mike Danton joining the St. Mary’s Huskies in which he criticized Canadian Interuniversity Sport for having eligibility loopholes that will allow the former professional to play for a university team. MacGregor is a fantastic writer, and his heart is in the right place, but I humbly disagree. Having former professional athletes playing varsity sports does no damage to the sport, whatsoever. For those of you not familiar with Danton’s sad tale, the CBC’s Fifth Estate has a very detailed timeline of his personal and professional life that includes links to interviews and news stories. Further, Hockey Night in Canada’s Elliotte Friedman has an excellent article on his one interaction with Danton and his agent David Frost. In short, Danton is a 29-year-old former professional hockey player who was convicted of a murder-for-hire plot. Now released from prison, he is enrolling at St. Mary’s in Halifax to complete the degree he started while incarcerated and is going to play hockey in the CIS. MacGregor is all for giving Danton a second chance at life, but does not think he should be allowed to play hockey with university students. “The notion of a still-growing high school graduate challenging a mature man with three years of NHL hockey to his credit is simply preposterous,” says MacGregor. Only, really, it’s not that dangerous. Teenagers and adults can easily play full-contact sports without any risk of injury. After all, how old was Luke Schenn when he joined the Toronto Maple Leafs last year? What about Steve Yzerman when he became a Detroit Red Wing? 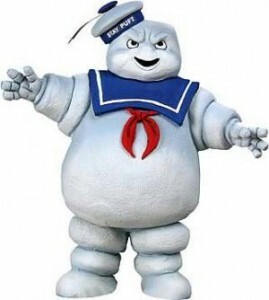 Sidney Crosby? Wayne Gretzky joined the World Hockey Association because they let him play before he turned 18. Although Danton will undoubtedly play some teenagers, most starting players on CIS hockey teams will be in their early-to-mid 20s, just like the NHL. “As for ‘professionalism,’ the rules are mild – one year of eligibility lost for every year of pro – which still leaves Danton with two years eligibility for university hockey,” says MacGregor. I have some hands-on experience with eligibility as the former Director of Communications for the Canadian University Field Lacrosse Association, and have dealt with issues like this. 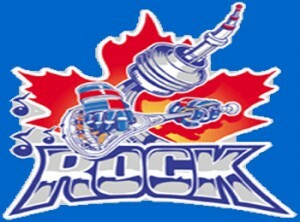 CUFLA is an independent league that has 12 member teams from Ontario and Quebec. 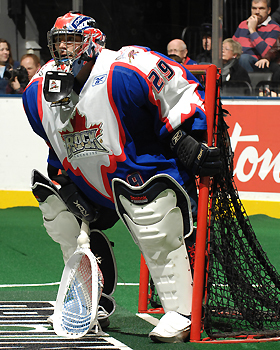 The league’s eligibility rules line up those of the CIS, including allowing active professional athletes from the National Lacrosse League to join teams. What’s the logic? Simple. CUFLA plays field lacrosse, while the NLL is indoor lacrosse. Although many of the skill sets are the same, the field of play is completely different, much of the equipment is different and many of the rules are different. The pro lacrosse players that end up on these teams act as role models that improve the level of play on the team and often serve as leaders during games and in the locker room. What kind of effect Danton has on his Huskies teammates is anyone’s guess. Honestly, Danton is not in a position to serve as a positive example to the young players at St. Mary’s, but he could have some useful advice for them or at the very least serve as a cautionary tale. Danton will probably be one of the best players on his team, if not all of CIS, but that doesn’t mean he should be banned from playing. His inclusion on the St. Mary’s Huskies is not going to start a flood of NHLers joining collegiate teams. Teams are not going to be able to load their teams with ringers because there are rules that restrict scholarships as well as academic standards that guarantee the purity of the varsity game. Frankly, today’s professional athletes have so much earning power that there is not much a university or college could offer them except tuition incentives. And really, if you could potentially earn millions per year, is a few thousand a year and mandatory class that exciting? I doubt it. The only other player to downgrade from the NHL to CIS was Jared Aulin. Ever heard of him? No? That’s because his impact was minimal. University hockey survived that experience just fine, and I am sure that it will continue to thrive with Mike Danton playing a couple of years of hockey.